I know it’s a little blurry, but can you find me? Also, guess the year! As the old cliché goes, “monkey see, monkey do.” It is not uncommon for a teacher to recreate the experiences they’ve had as students. All that theory we learned at university is great. But, only when we’ve experienced something for ourselves, can we attempt to reverse engineer it in our classrooms. That is not to say that a teacher with abysmal experiences as a student would make a abysmal teacher. I’m just saying that I have had many great teachers in my life who made my transition into teacher-hood so much more easier. 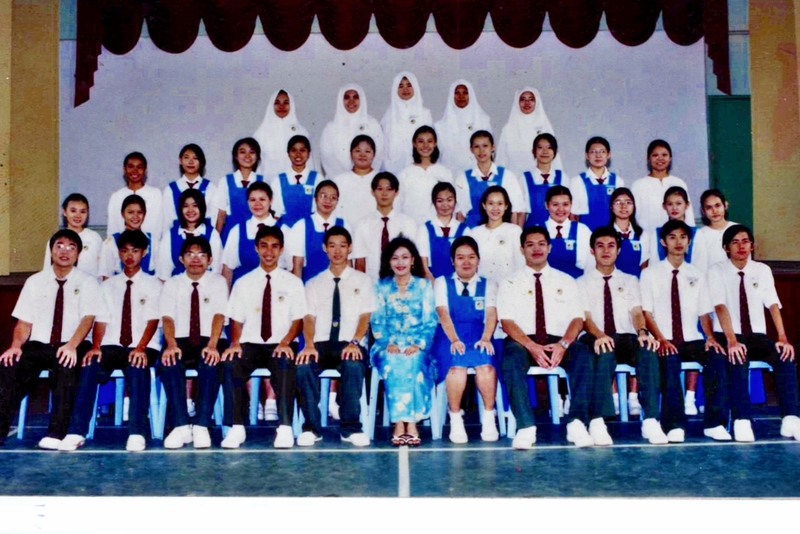 One of my most treasured teachers in secondary school was Cikgu Anis Abdullah, my class teacher & English teacher. 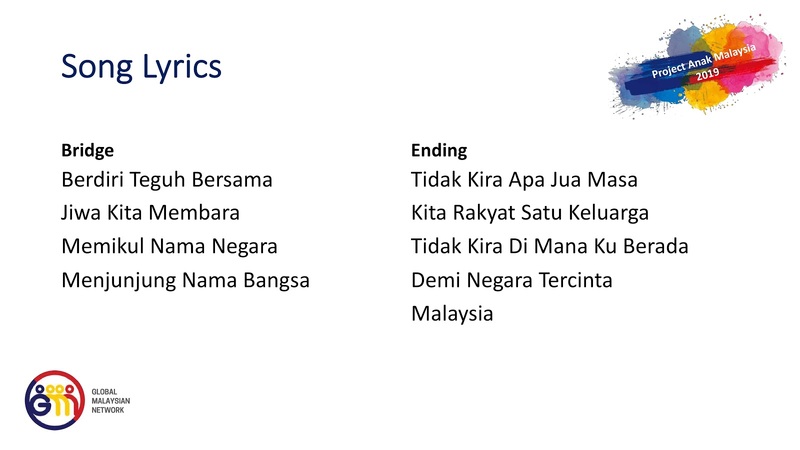 At Form 4, my English language proficiency was way beyond what was necessary to ace the SPM test. By then I was winning essay competitions, reading elaborate novels for pleasure, singing English songs in a rock band, & transcribing pop songs on the radio by ear. Transferring from a Chinese independent school to a Sekolah Menengah Kebangsaan, I didn’t do too well in PMR, so I was streamed into a mid-tier class, where the English development needs of my classmates were very different from mine. As I wasn’t being challenged in her English language classroom, Cikgu Anis allowed me to work on subjects I was struggling with during her class periods, but only after I’ve completed her assignments. On occasion, she’d use me as a resource during her lessons. Unfortunately, teachers rarely get remembered for what they do in their classrooms. 2-3 hours of contact per week is surely not enough time to really get to know someone. I remember Cikgu Anis for her confidence in responding to my parents’ anxieties & especially for her role in producing the school’s play for the interschool competition. Fatherhood is a beautiful thing. 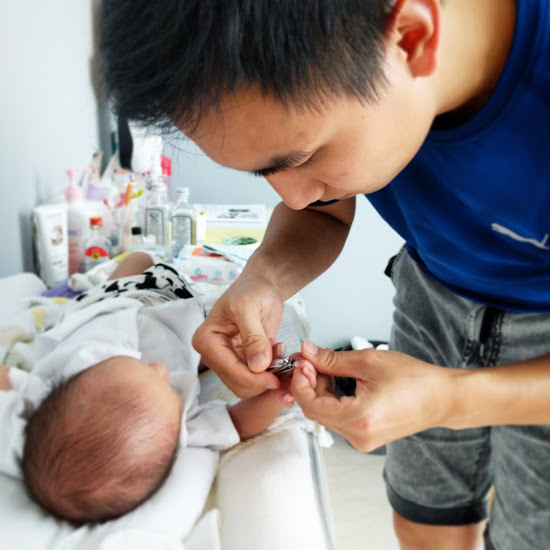 I hope that I'll be a good father to you, Amory. I'm by no means a wealthy man, but I'll do my best to give you what you need to thrive in this brave new world. 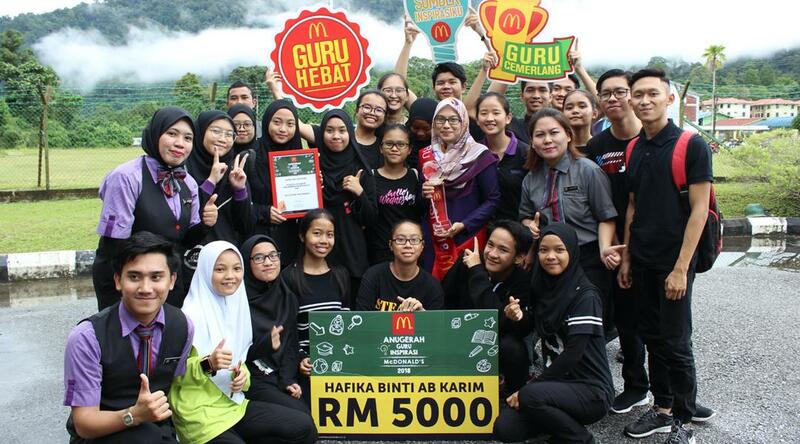 Cikgu Hafika Bt Ab Karim was a recepient of Anugerah Guru Inspirasi in 2018. Do you know a teacher who deserves kudos for their efforts? It’ll only take 10 minutes to nominate them for the 2019 Anugerah Guru Inspirasi! Nominate at http://www.mcdonalds.com.my/bm/anugerahguruinspirasi/nominate BEFORE 31 March. If your nominee wins the award, you get an RM200 gift certificate! As I was reading through the stories all 31 past recipients of Anugerah Guru Inspirasi, I was struck by Cikgu Hafika’s story. I paused as I reflected on the life-shattering horrors that she faced again and again within the scope of one year. Despite being bombarded by one tragic circumstance after another, she continued her efforts in helping her students excel in PT3, through various initiatives like giving extra classes and purchasing workbooks for her students. She embodies the steadfastness & grit we want in our students. I’d like to share her story with you in hopes that it will inspire you to follow her exemple &, also, take some time out to nominate an teacher whom you think deserves some recognition. The story I’m about to share was adapted & translated from https://www.mcdonalds.com.my/bm/anugerahguruinspirasi/winners/2018/hafika-binti-ab-karim. Hailing from peninsula Malaysia, Cikgu Hafika was a strict & demanding science teacher. Her students feared her at first, but grew to appreciate her as they discovered her loving and friendly side. Three months into the academic year, Cikgu Hafika was diagnosed with thyroid cancer. She kept it from her students and carried on with her duties as usual. Her students only found out through other teachers at the school. One day, Cikgu Hafika beamed as she shared the good news of her pregnancy and her desire to name the child, “Aurora”, as she was taken by the magnificence of the natural phenomenon. However, her joy was short-lived. Only two months later, during one of her extra classes in the evening, she complained of intense stomach pains. She fought the pain & finished the class before heading to the hospital. Later, the students found out from a third party that Aurora… was no more. A few months later, it was time for the PT3 mock examinations. Cikgu Hafika, who was in-charge of preparing the science papers, was at a print shop in Kuching city, which was about 100km away from Lundu town, because the teachers at the school were personally responsible for printing examination papers. Unfortunately, on her way back to school, she got involved in an accident where her car overturned & skidded into a massive drain. Fortunately, she survived. Still recovering from her injuries, she made her way to school on the day of the PT3 science paper to be there for her students. Her dedication & love for her students really inspires me. I can never ever imagine what I’d do if I was in her shoes. Serving the country hundreds of miles away from family & getting slammed by incident after incident during such a short span of time, I would have quit & started selling Kolo Mee instead. Nevertheless, she persisted. Perhaps that’s what we should all do, regardless of what life throws at us. Her students must be the primary motivator for her indomitable spirit. Nurturing their young minds & watching them learn will fill any teacher with joy. 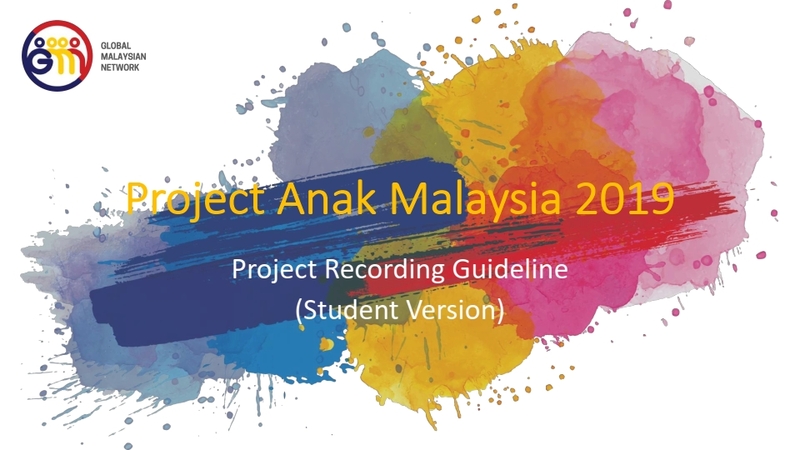 I believe that winning this award was only the icing on the cake for Cikgu Hafika, as having her students invested & paying attention in class was already an award in itself. God knows how many teachers in Malaysia do not get to enjoy this privilege & have to struggle to win the attention of their students. Do you know a teacher like Cikgu Hafika? Think about it, if no one bothered to nominate Cikgu Hafika or thought that it was too troublesome to do so, her inspiring story would have been buried in the sands of time & she would have continued to ask herself if her efforts were really worth it. It takes only 10 minutes to nominate a teacher. What’s stopping you? Don’t you want to encourage a teacher & help them to remain steadfast in educating new generations of leaders? (2) Fill the short & simple nomination form BEFORE 31 March. Finally, SHARE!!! We are entering the last week for nominations! Let’s improve our education system by empowering & inspiring our teachers! This is your last chance, people! I’ve already done mine, what about you? !